Running late in the mornings? Don’t skip breakfast. 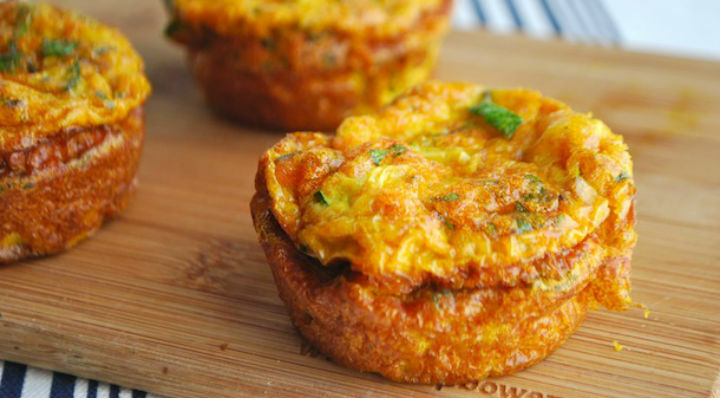 Instead grab one of these low carb and protein egg bites. These bites also make great snacks for those afternoon cravings. Step 1: Heat oil in skillet and add ham, red pepper and red onion. Step 2: Cook until peppers and onion are slightly tender. Step 3: In separate bowl whisk together, eggs, milk, green onions and grated cheese. (if you want more dense bites use fork to combine instead of whisk and only beat to combine). Step 4: Add ham mixture, combine. Step 5: Pour into greased mini muffin pan. Step 6: Bake 350 for about 15 minutes or until golden brown.